What a long day! The weather was good with few clouds and light winds, so I went ahead with my long cross country. 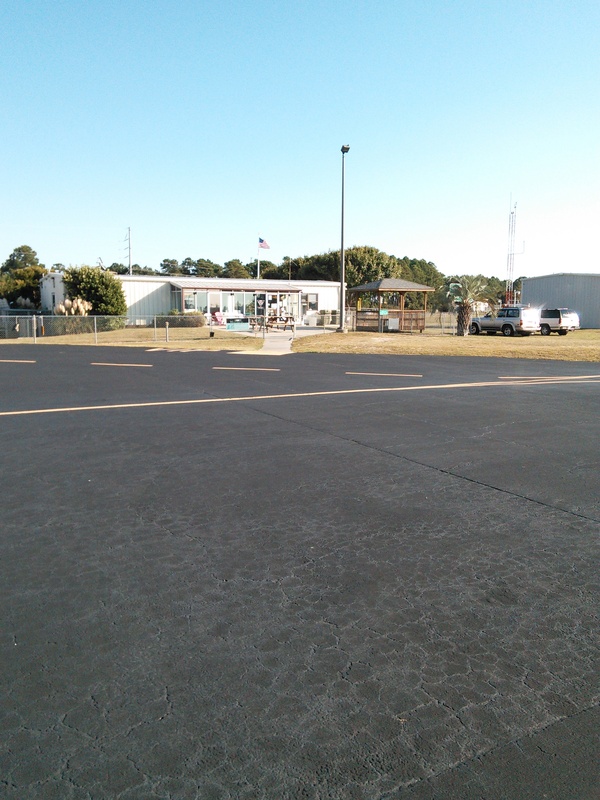 I took off from Burlington and flew direct to Cape Fear Regional Jetport (KSUT) on the coast just south of Wilmington. That is a distance of 144.5 nautical miles (about 166 statute miles) each way. During the flight, I was in radio communication with Raleigh Approach, Washington Center, Fayetteville Approach, and Wilmington Approach. I think I handled it pretty well for still being a student pilot. I was able to easily find all of my landmarks for navigation and used the VOR navigation radios as well. Notice the palm tree to the right. All small airports have the “fixture.” This one had a guy who was in his 70’s who has been working at the airport for decades. He assisted me in refueling the Cessna 152 and chatted for a bit about where I flew from and flying a student cross-country. We said goodbye and I took off again for Fayetteville and then back to Burlington. This is the view getting ready to depart Cape Fear (nice name for a solo student, huh?). Also notice the altimeter. I am at 0 feet above sea level, right on the coast. 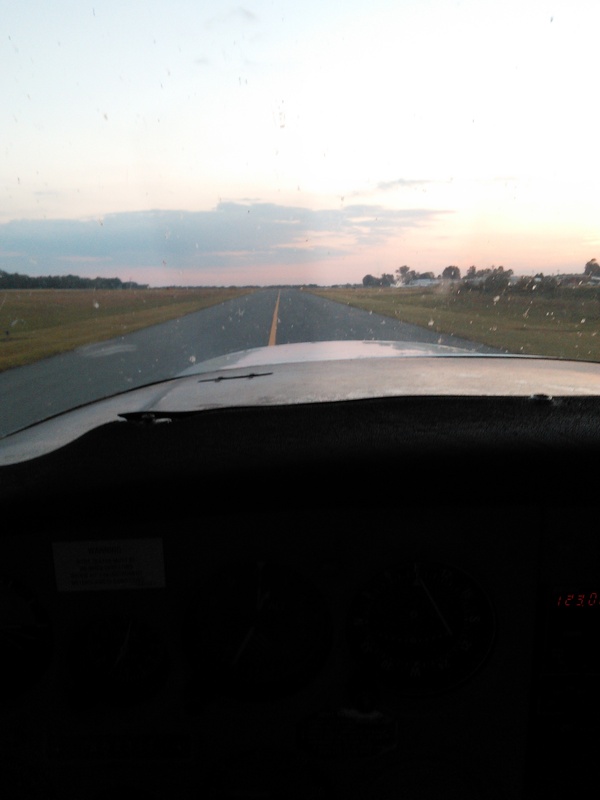 I then flew from Cape Fear to Fayetteville where I performed a touch-and-go on Runway 4 before heading back to Burlington. This completed the requirement to land at a towered airport. 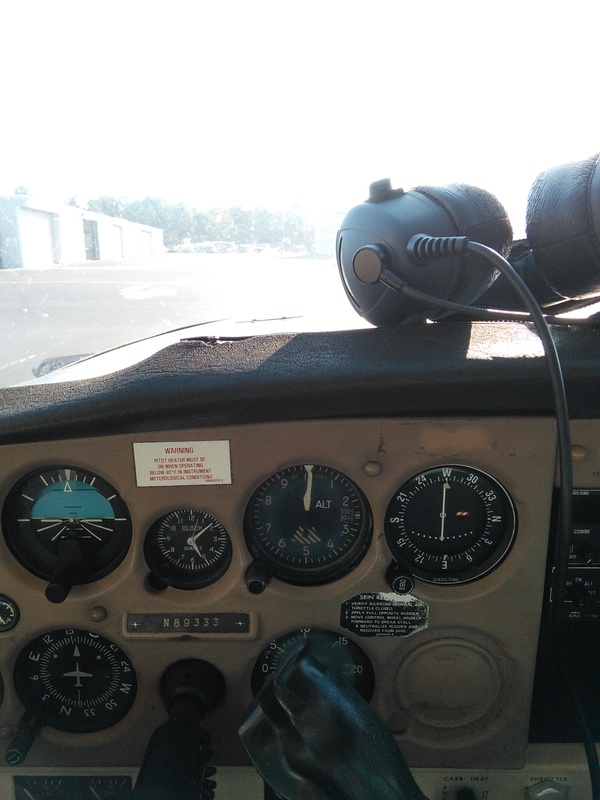 Fayetteville Approach cleared me to enter their airspace, fly at or below 2,000 feet and proceed to Runway 4. He then transferred me to Fayetteville Tower, who cleared me for the “option” on Runway 4, then proceed on runway heading and recontact Approach, which was now referred to as Departure. Once I climbed to about 2,000 feet, Departure had me turn direct to Burlington. I flew very close to Pope Air Force Base and could count the C-130’s on the ramp. On the way back to Burlington, I got to see the runway work at Sanford. All I could really see was the large yellow “X” letting overflying planes know that the runway was closed, DO NOT LAND! I got back to Burlington at sunset when the air was cool and smooth! After landing, I took a big sigh of relief and signed in after 3.7 hours in the airplane. As I explained earlier, the clock ticks on the plane as long as the engine is running, even if you are not flying. I actually was in the air about 3 hours. I immediately texted Liani to let her know I had landed safely and then called Richard to let him know the same. He congratulated me on a major milestone and said we would immediately get to work on prepping for the FAA checkride to obtain my Private Pilot’s License. Seems unreal.